The Student Body President, elected by the fellow student body each spring semester, administers and enforces all laws of the Student Body. Powers of the Executive Branch reside in the Student Body President, as well as, the Student body Vice President. The Student Body President creates progr a.m.s to address the needs of students. 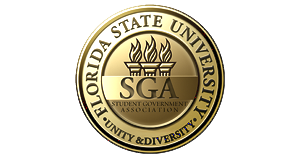 The Student Body President sits on the FSU Board of Trustees, the Seminole Torchbearers, the Civic Center Authority Board and the Foundation Board of Trustees. 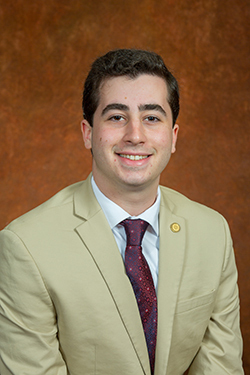 Evan Steinberg a junior, studying Political Science and is pursuing a certificate in U.S. Intelligence Studies as well as Emergency Management and Homeland Security. Evan was raised in Parkland, Florida where he interned for his state representative Jared Moskowitz in 2015 and 2016. Evan worked at the Florida Senate with President Pro Tempore Flores in 2017 and 2018. During the summer of 2017, he interned with Commissioner Dale Holness promoting international trade in Broward County. Evan had the honor of interning with the United States Department of Defense Southern Command in Doral, Florida in the summer of 2018. Evan’s involvement on campus includes previously serving in the 68th, 69th, & 70th Student Senate as a Social Science & Public Policy Senator. Evan has also served as a member of the Board of Directors for the Office of Governmental Affairs for two years, and previously served as the Director of the Office of Governmental Affairs. Evan has also previously been involved with the Student Alumni Association, Homecoming Council, NolePAC, Garnet & Gold Key Leadership Honorary, the Undergraduate Research Opportunity Program, and his fraternity Beta Theta Pi. If you ever have any questions, comments, or concerns please feel free to stop by his office located on the fourth floor of the Thagard Building. Monday: 8 a.m. - 2 p.m.
Tuesday: 2 p.m. - 3:15 p.m.
Wednesday 8 a.m. - 2 p.m. ; 6 p.m. - 9 p.m.
Thursday 2 p.m. - 3:15 p.m.